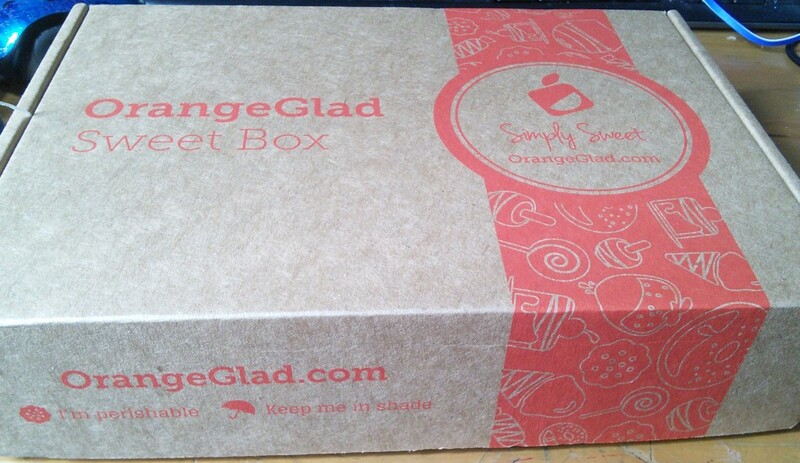 OrangeGlad is a subscription box that sends you goodies from bakeries around the country. 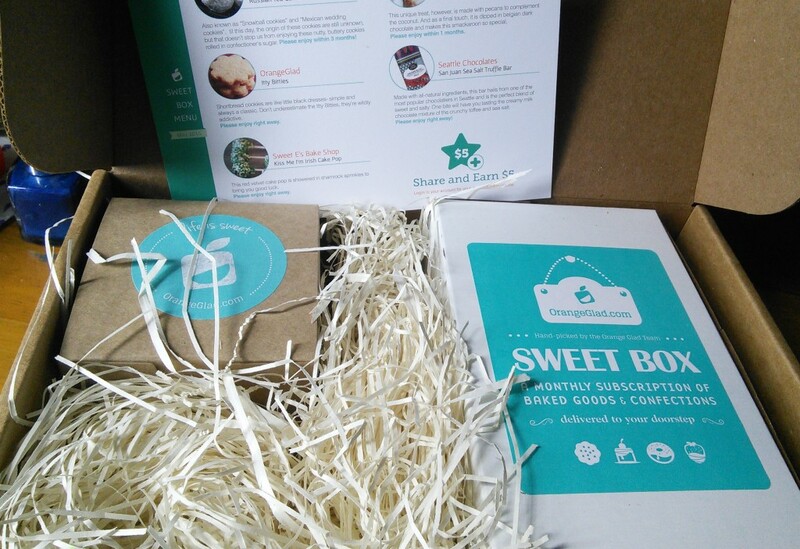 It’s a great concept but it’s pretty expensive at $22 a month, in particular because they send very few treats. This box had a value of approximately $15. They do have coupons, though, and if you catch a good one and use it on a 6 month subscription, you can bring your costs to the low teens. I got this box with a $15 off coupon, so I only paid $7. It was worth it for that price. These are cute and tiny little shortbread cookies. I’m estimating their value because they are not currently for sale at OrangeGlad. 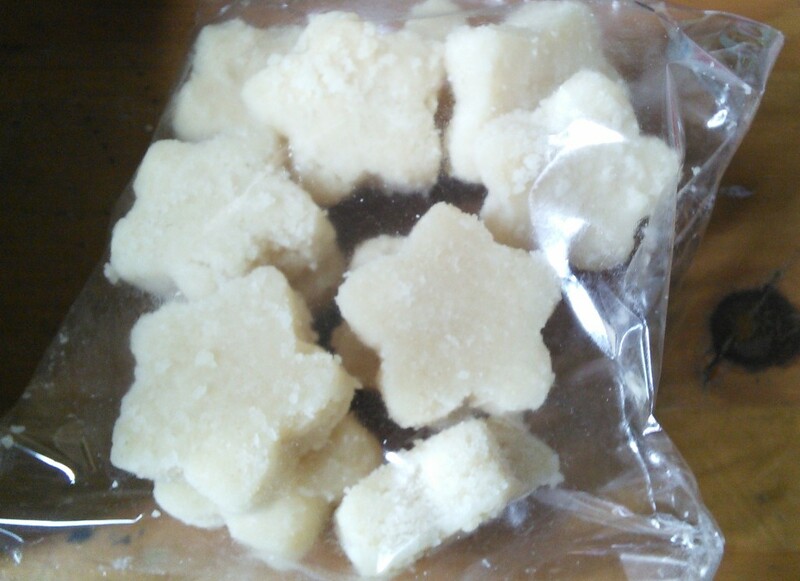 Unlike regular shortbread these were pretty short and came with instructions to eat right away (as if I wouldn’t). We all thought they were delicious. 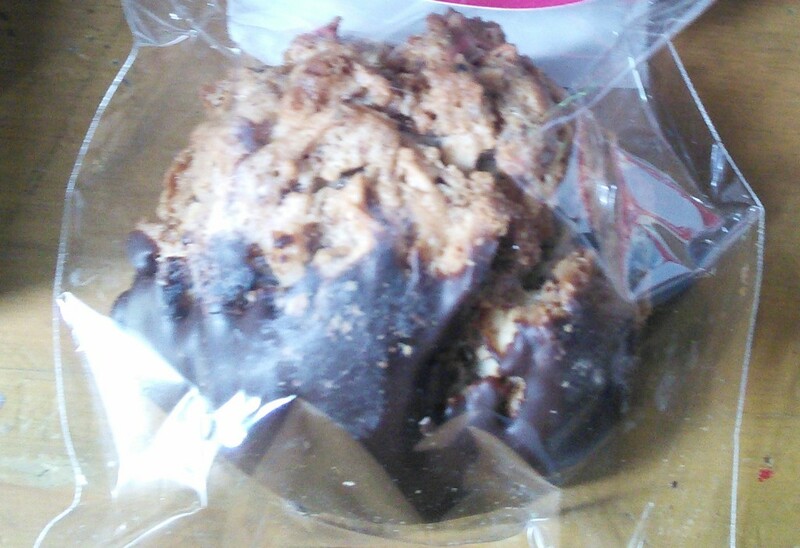 This was your run of the mill macaroon. Delicious like macaroons are. I did find it a little dry, however, which is to be expected. 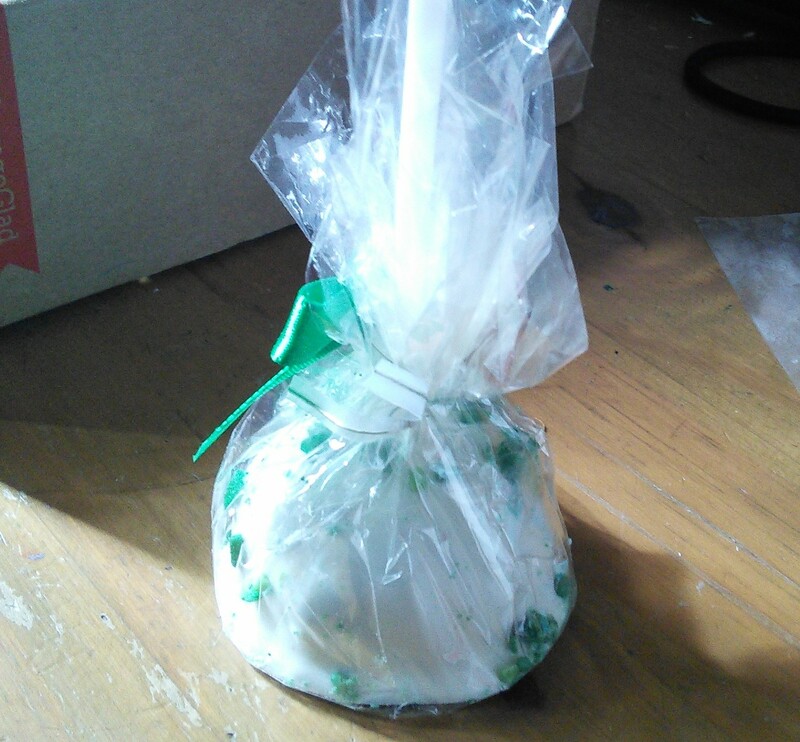 I love red velvet cake and this cake pop was very good – but also pretty generic as far as red velvet cake goes. 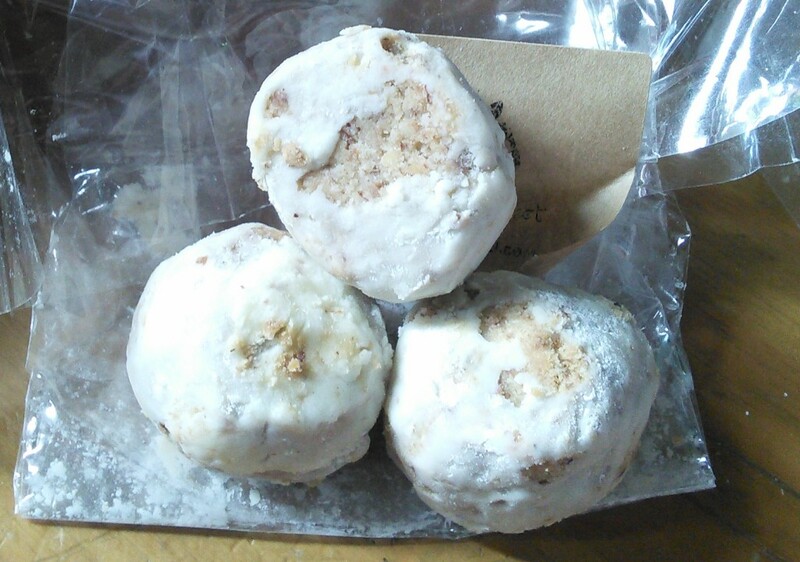 I’m a fan of Russian tea cakes and these were delicious – though a bit on the dry side. This was probably my favorite item in the box. Oh so good. Unfortunately I left it out and my dog ate most of it. 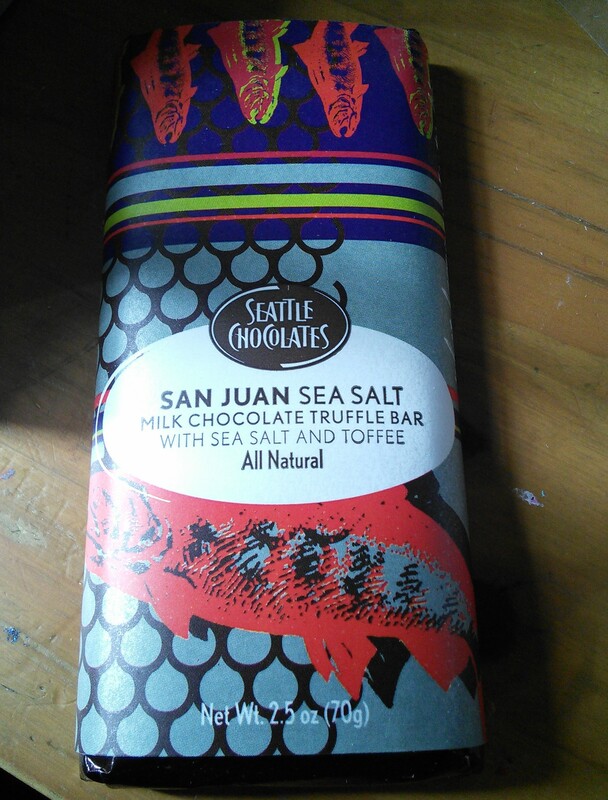 But I’ll keep an eye for these bars ’cause they are yummy. Unsubscribing from OrangeGlad was quick and easy, just took an e-mail.